Onion-Tomato veggie is quite popular in Punjab and North-India. 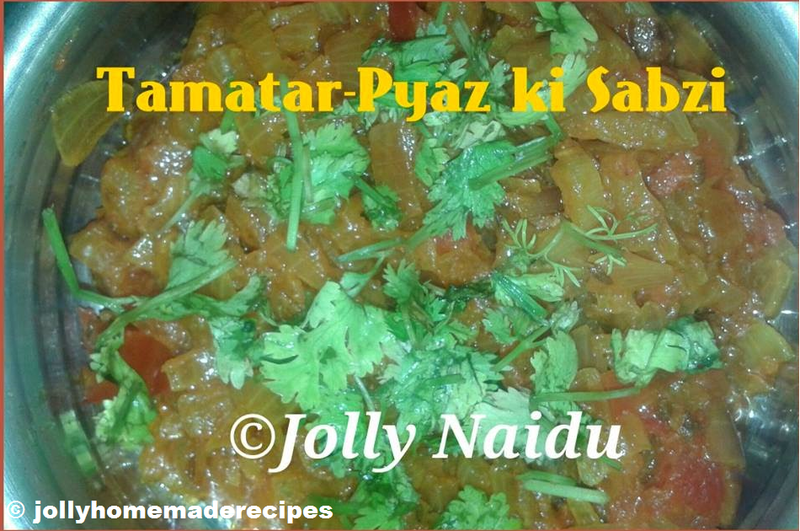 This is one of my favorite veggie because their taste is authentic and take very less time to prepare :) I made this sabzi mostly with yellow dal fry, both are compatible with each other. Whenever, I am bored of having daily veggies and lentils, then I usually prepare this, me and my husband love to have this veggie with roti or paratha. In this recipe, two veggies stir fried in a oil with few herbs and spices. It took a whole new taste. It is made up of very less ingredients again and a very simple but yummy recipe. I named it as "Jhatpat" recipe. It's an easy vegetarian dish, which you can prepare in few minutes only. This tasty recipe is serve with chapatti, lachha paratha or any bread. For a combination of tomato and onion can only form the base and needs to have the core ingredient. But when you had it, I am sure you did ask for more. If you are looking for more dal recipes then do check yellow dal tadka, punjabi dal makhani, dal amritsari, tangy sambar (toor) dal. 1. Peel the onions, wash it and finely chopped and keep it aside. Do same thing with the tomatoes (wash it and chopped). 2. Heat oil in a pan/Kadai/wok. Add cumin seeds, after crackling seeds, add chopped green chillies and garlic. Add chopped onions, saute for few minutes till onion becomes transparent. 3. Add tomatoes and all Indian spices like Salt, turmeric powder, red chilli powder, coriander powder and Mix it well with spices. 4. Cover the Kadai for few minutes till all ingredients mixing with each other or tomatoes becomes soft. Once tomatoes soft, sprinkle garam masala powder, mix it. 5. Turn the flame off and your Tamatar-Pyaz ki Sabzi is ready to serve. Garnish with chopped coriander leaves. 6. Serve with chapatti, paratha's or any bread.